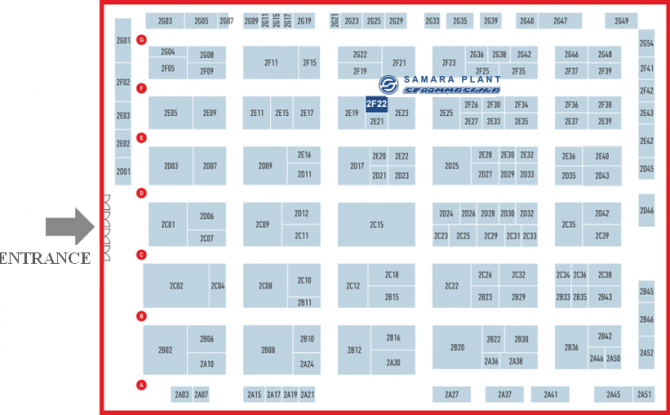 Samara plant Strommashina will participate in the exhibition Metal-Expo'2015 On November 10-13th, 2015, in All-Russian Exhibition Center, Moscow, will be held The 21st International Industrial exhibition Metal-Expo'2015 where will be represented the whole range of ferrous and non-ferrous products and modern equipment & technologies. Steel and heavy-engineering companies, such as MMK, TMK, Severstal, Mechel, OMK, NLMK, EVRAZ, Industrial Metallurgical Holding, UMMC, ChelPipe, KUMZ, OMZ Group, VSMPO-AVISMA, EZTM and many others as well as steel products and steel structures manufacturers will form a massive exposition of Metal-Expo’2015. A big number of company leaders and decision-makers from all over Russia and many world countries will visit the Autumn Metal Week in Moscow. More than 3 thousand company leaders and professionals of the leading world economies will be working at their exhibition booths during the event. They will introduce ferrous and non-ferrous metallurgy, heavy-engineering, distribution and metalworking. This year Samara plant Strommashina will be represented at the exhibition not only as a producer of well-known types of equipment for milling, drying, cooling, mixing and pelletizing of ore minerals and nonmetallic mineral resources, but also as a metal structures manufacturer. Many years of experience, availability of highly professional specialists, powerful manufacturing base allow us to insure high quality and fixed turnaround time for our customers. The exhibition will be attended by professionals from our plant who will readily provide you with any information you need. The topics of the exhibition you can review at http://www.metal-expo.ru/. You are welcome at our exhibition booth No. 2F22.